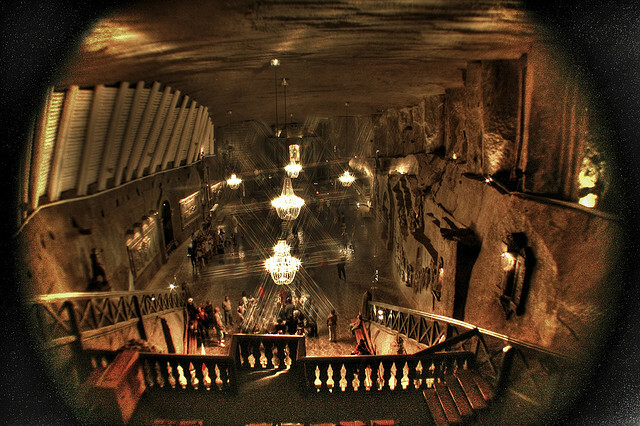 From the outside, Wieliczka Salt Mine doesn’t look extraordinary. 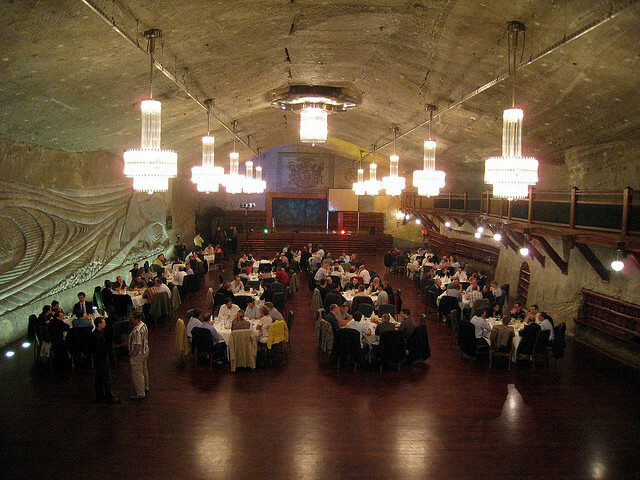 It looks extremely well kept for a place that hasn’t minded any salt for over ten years but apart from that it looks ordinary. 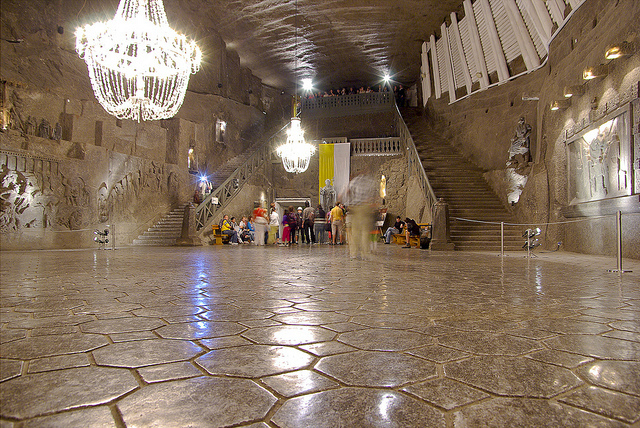 However, over two hundred meters below ground it holds an astonishing secret. 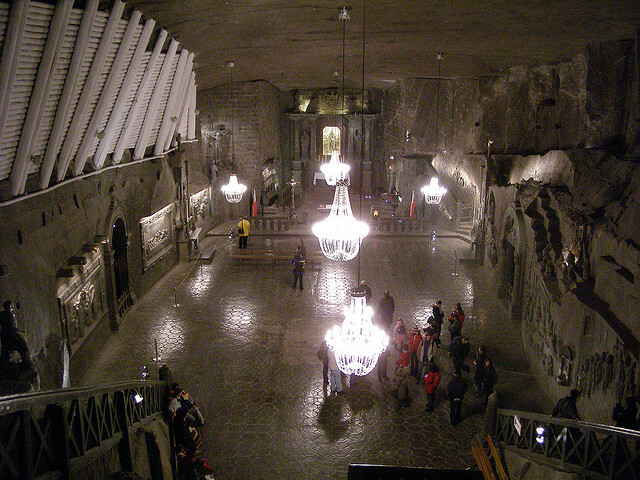 This is the salt mine that became an art gallery, cathedral and underground lake. 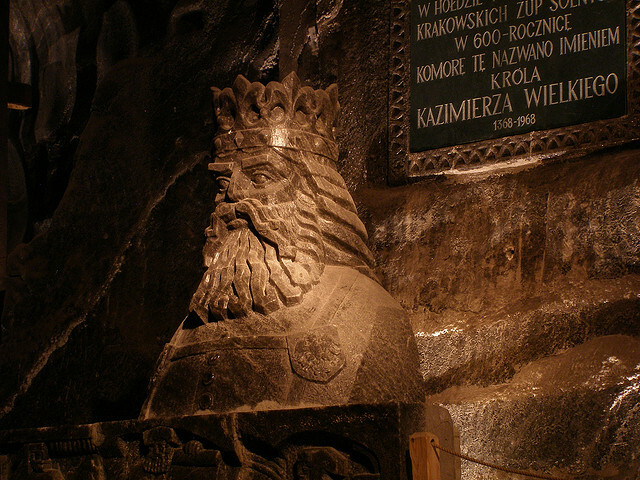 Situated in the Krakow area, Wieliczka is a small town of close to twenty thousand inhabitants. 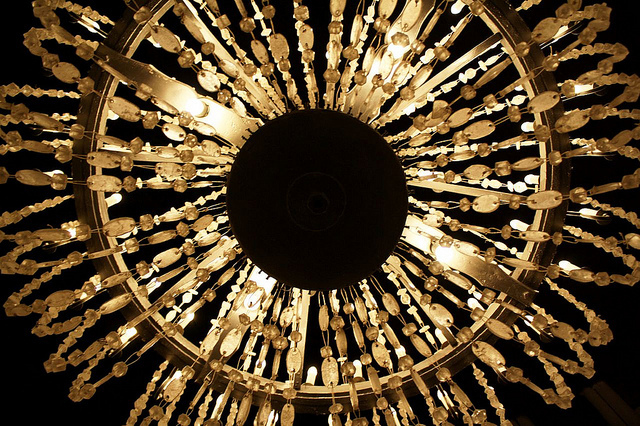 It was founded in the twelfth century by a local Duke to mine the rich deposits of salt that lie beneath. Until 1996 it did just that but the generations of miners did more than just extract. 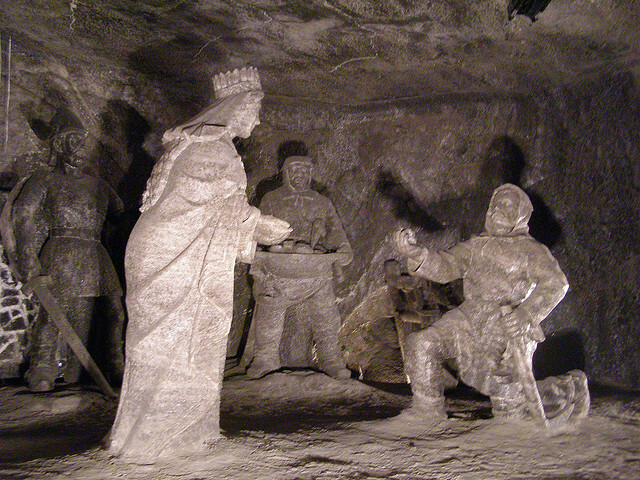 They left behind them a breathtaking record of their time underground in the shape of statues of mythic, historical and religious figures. 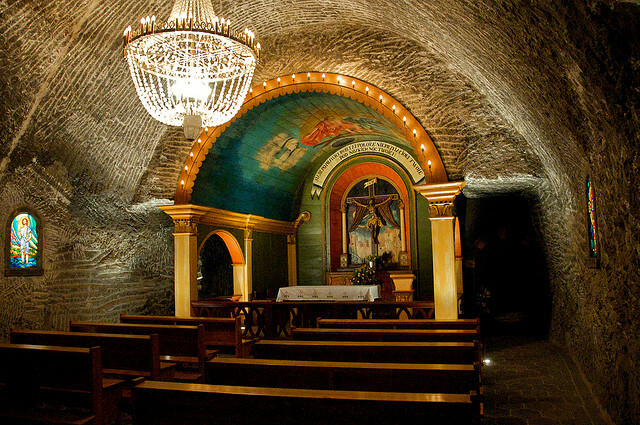 They even created their own chapels in which to pray. 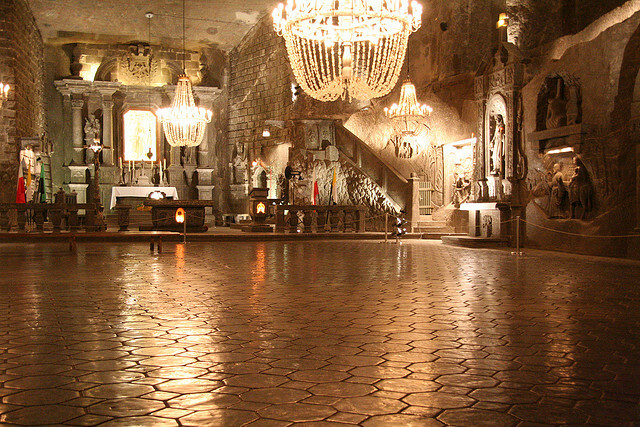 Perhaps their most astonishing legacy is the huge underground cathedral they left behind for posterity. Still, that doesn’t stop well over one million visitors (mainly from Poland and its eastern European neighbors) from visiting the mine to see, amongst other things, how salt was mined in the past. 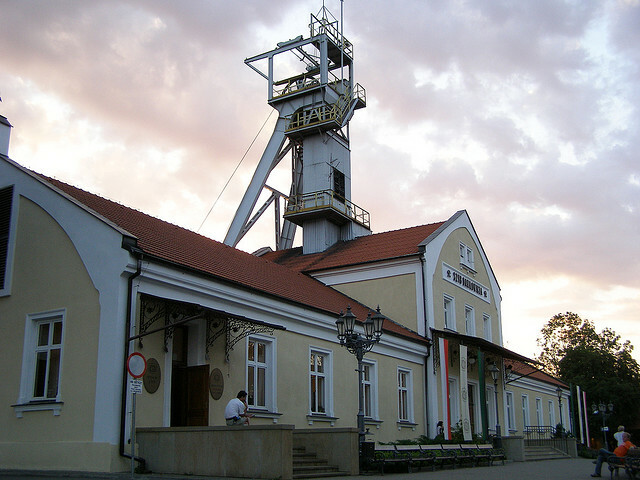 For safety reasons less than one percent of the mine is open to visitors, but even that is still almost four kilometers in length – more than enough to weary the average tourist after an hour or two. 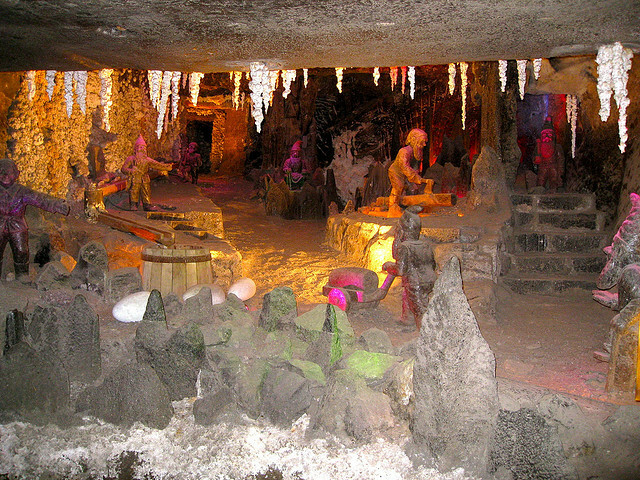 The mine was closed for two reasons – the low price of salt on the world market made it too expensive to extract here. 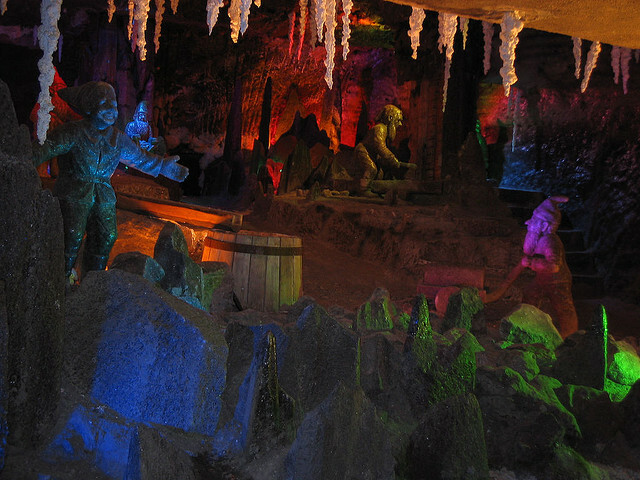 Also, the mine was slowly flooding – another reason why visitors are restricted to certain areas only. 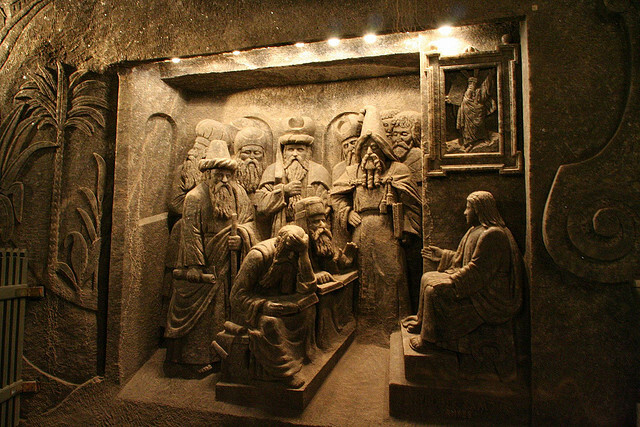 The religious carvings are, in reality, what draw many to this mine – as much for their amazing verisimilitude as for their Christian aesthetics. 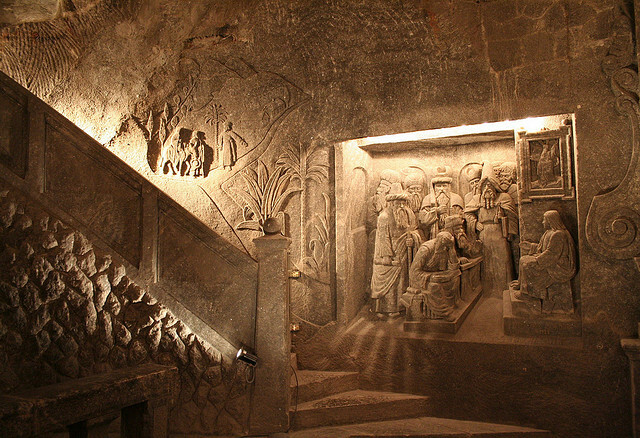 The above shows Jesus appearing to the apostles after the crucifixion. 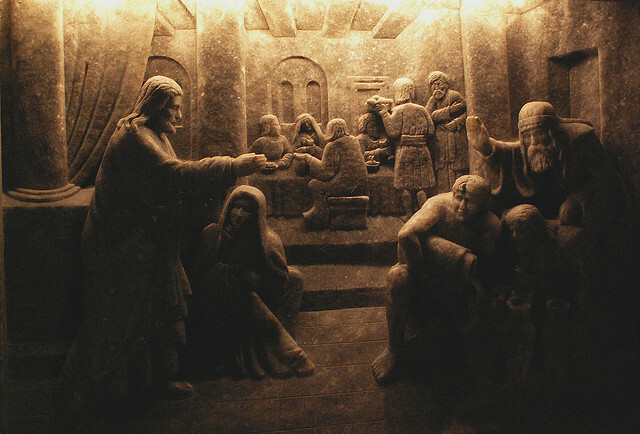 He shows the doubter, Saint Thomas, the wounds on his wrists. 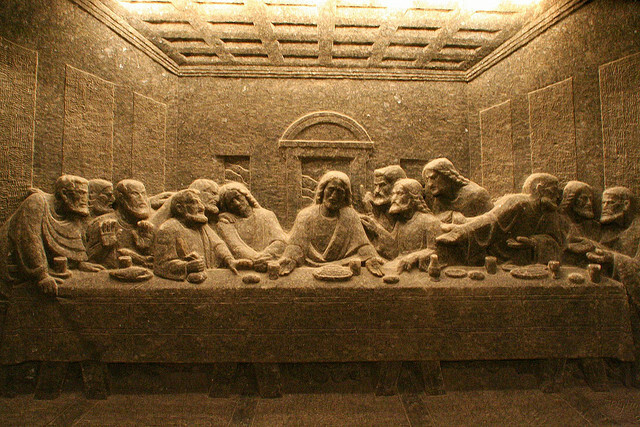 These reliefs are perhaps among some of the most iconographic works of Christian folk art in the world and really do deserve to be shown. 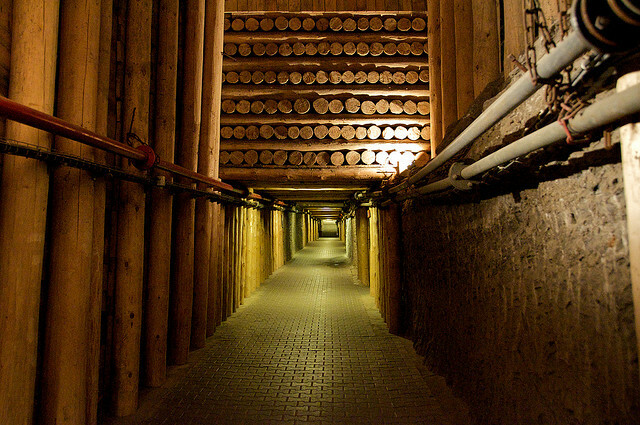 It comes as little surprise to learn that the mine was placed on the original list of UNESCO World Heritage Sites back in 1978. Not all of the work is relief-based. 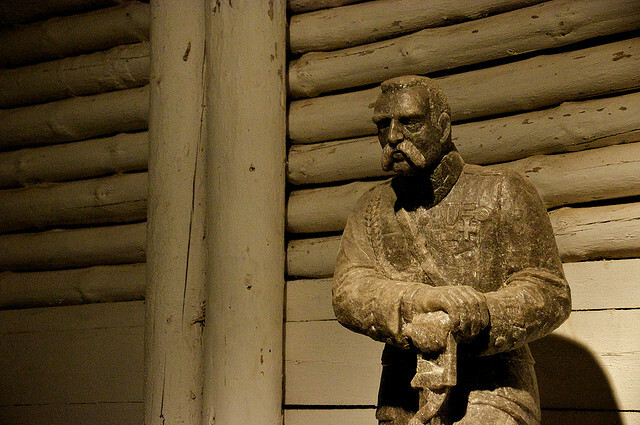 There are many life sized statues that must have taken a considerable amount of time – months, perhaps even years – to create. 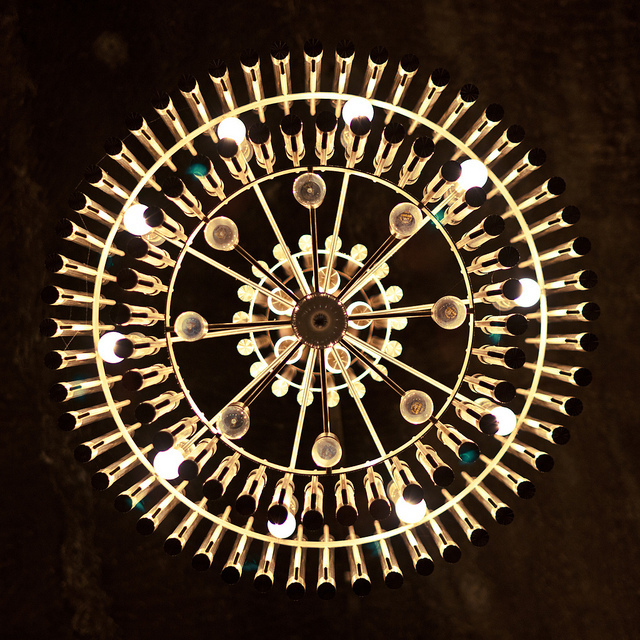 Within the confines of the mine there is also much to be learned about the miners from the machinery and tools that they used – many of which are on display and are centuries old. 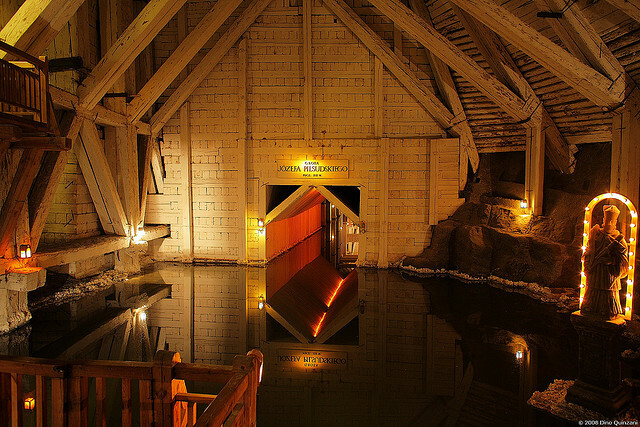 A catastrophic flood in 1992 dealt the last blow to commercial salt mining in the area and now the mine functions purely as a tourist attraction. 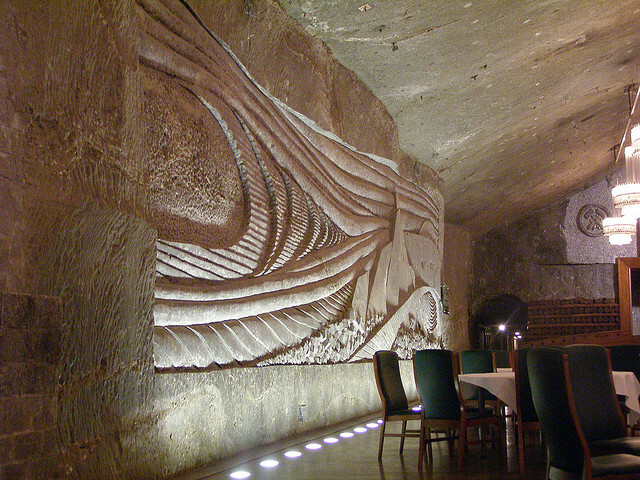 Brine is, however, still extracted from the mine – and then evaporated to produce some salt, but hardly on the ancient scale. 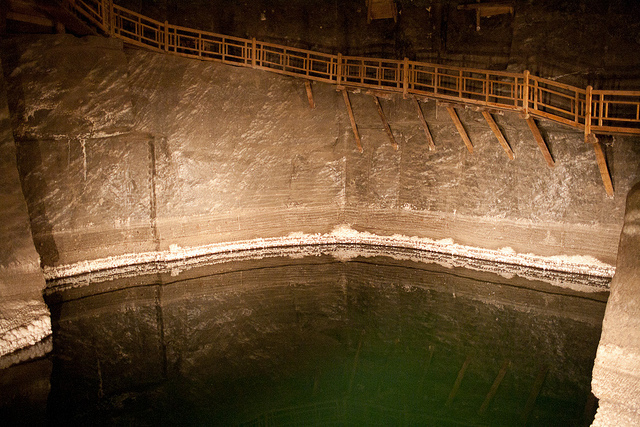 If this was not done, then the mines would soon become flooded once again. 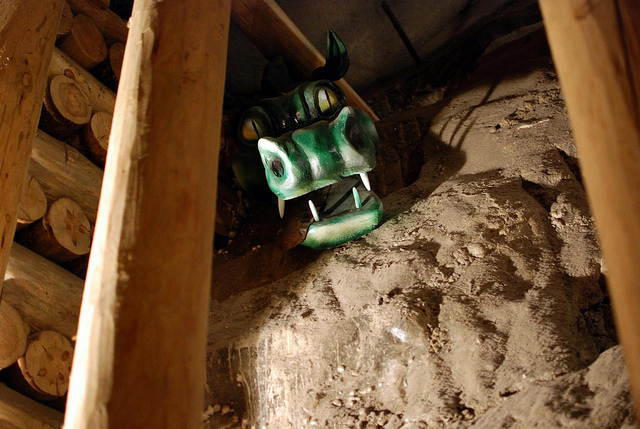 The miners even threw in a dragon for good measure! 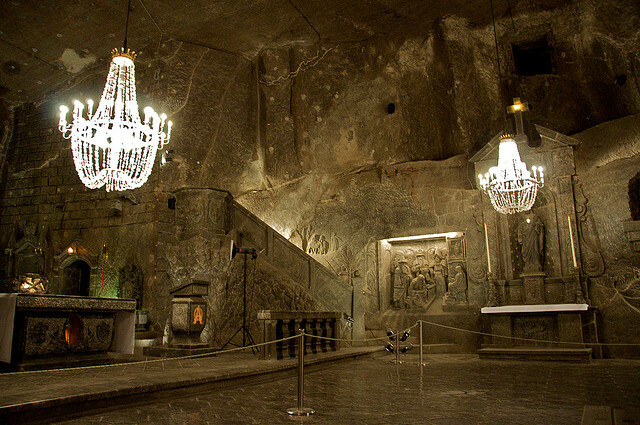 Certainly, they may have whistled while they did it but the conditions in the salt mine were far from comfortable and the hours were long – the fact that it was subterranean could hardly have added to the excitement of going to work each morning.